Last week, a federal judge ruled that President Donald J. Trump is constitutionally prohibited from blocking Twitter users, in an opinion that sets a new and unusually high standard for First Amendment obligations imposed on government actors. U.S. District Judge Naomi Reice Buchwald in Manhattan decided Trump’s Twitter account counts as a “public forum,” and that the President’s blocking activity constitutes “viewpoint discrimination,” a presumptively unconstitutional form of speech restriction. University of Chicago Law professor Genevieve Lakier was a co-signer in an amicus brief filed by Columbia’s Knight First Amendment Institute. The Institute brought the lawsuit alongside seven plaintiffs who were blocked by @realDonaldTrump. The Tweet that prompted Trump to block comedian Nicholas Pappas, a plaintiff in Knight Institute v. Trump, quips that the courts now protect Americans from the President. Trump is right. The government should protect the people. That's why the courts are protecting us from him. Lakier told The Maroon that she expects the decision will be appealed, and that its full implications are yet to be seen, depending on whether it is affirmed in the second circuit. The ruling draws a key distinction between “blocking” and “muting,” noting that critics can continue viewing and responding to tweets after being blocked. “Muting equally vindicates the President’s right to ignore certain speakers and to selectively amplify the voices of certain others but—unlike blocking—does so without restricting the right of the ignored to speak,” the opinion reads. Lakier was the only UChicago Law professor to sign the Knight Institute’s amicus brief, but she noted that other professors were asked and declined to sign. Though the ruling has been hailed by some progressives as a blow against Trump, its implications do not cut neatly across party lines; some jurists have noted that the new restrictions might have a chilling effect on the speech of public officials who use social media to interact with constituents. Lakier herself is not so worried about the potential chilling effect, arguing that aside from a few high-profile accounts like @realDonaldTrump, most government social media pages get minimal traffic. The court’s ruling was also specific to blocking on Twitter. Buchwald did not weigh in on whether the President can prioritize or promote particular content or otherwise “curate” his feed, and left open the option to “mute” followers. There is some debate over whether a court can issue an injunction to the President of the United States, and Buchwald did not enjoin the President to unblock the plaintiffs. 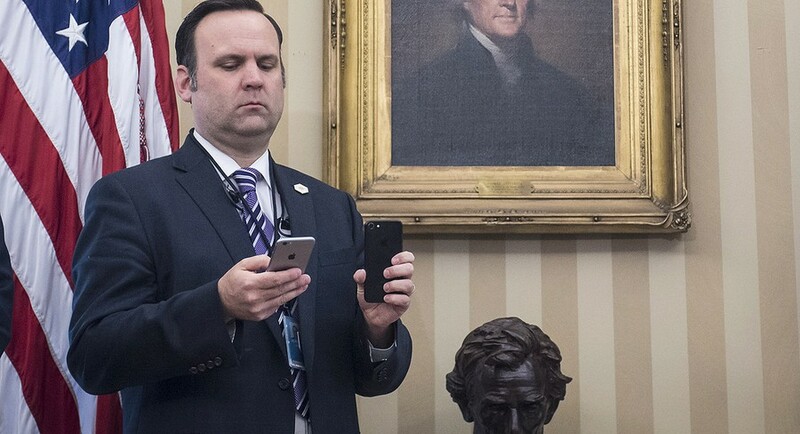 She could, unquestionably, have enjoined White House Social Media Director Dan Scavino, who was also named as a defendant, but chose to avoid issuing any injunction and steer clear of the constitutional question. While Buchwald contended that the courts do have the power to enjoin the President, she cited the determination in Nixon v. Fitzgerald that the court must carefully balance the constitutional interest in issuing an injunction. Instead of ordering the President to take action, Buchwald made clear her expectation that Trump remedy his unconstitutional action and unblock the users of his own accord. Twitter does not make blocking information public, and it is unclear how many users the President has blocked, though several publications have attempted running tallies. "Because no government official is above the law…we must assume that the president and Scavino will remedy the blocking we have held to be unconstitutional," Buchwald wrote. So far, however, reports suggest that @realDonaldTrump has not unblocked the plaintiffs.